The Land of Pauri Garhwal is blessed with splendid view of snow-bound peaks of Himalayas, scenic valleys & surroundings, meandering rivers, dense forests and hospitable people with a rich culture. 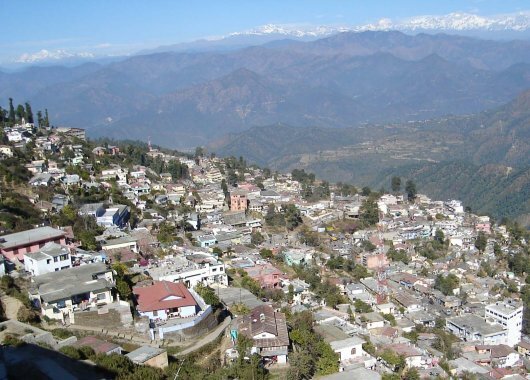 Diverse in topography, the district of Pauri Garhwal varies from the foothills of the ‘Bhabar’ areas of Kotdwara to the soul-lifting meadows of Dhudatoli. It is a beautiful small town with lush green forests and scenic landscape. 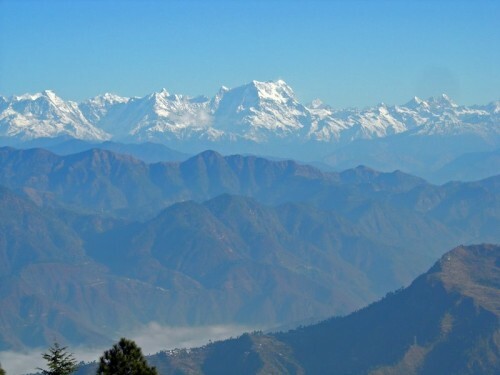 Pauri provides a panoramic view of the snow clad Himalayan peaks of Bander Punchh, Swarga-Rohini, Jonli, Gangotri Group, Jogin Group, Thalaiya-Sagar, Kedarnath, Kharcha Kund, Sumeru, Satopanth, Chaukhamba, Neelkanth, Ghoriparvat, Hathiparvat, Nandadevi and Trisul. Kandoliya temple dedicated to Kandoliya Devta, a fold diety, is located on the Lansdowne road amidst scenic surroundings. Kyunkalshwar Mahadev the 8th century Shiva temple, affords stunning views of the snow-clad peaks. Jwala Devi Temple is a pilgrim site which lies on the main Pauri Kotdwar road. Medanpuri Devi Temple dedicated to Goddess Medanpuri Devi, is considered to be a Siddha Peeth. Kalagarh is famous for nature lovers. The dam across Ram Ganga at Kaulagarh is also worth visiting. Pauri is also a sitting place of Garhwal Commissioner. Kandoliya, Kyunkalshwar Mahadev, Khirsu, Jwala Devi Temple, Medanpuri Devi, Kalagarh, Lansdowne, Srinagar.